Getting to the point quickly is critical in overcoming the barrage of noise out there. Competition for the attention of others is fierce. The surge of technologies is conditioning us to expect the information we need on demand. So, how do you keep your presentation from becoming just more noise? How do you let your message be heard above the others? How do you persuade others to think, feel, or do something differently? 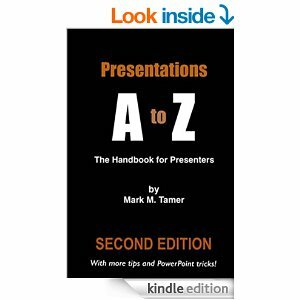 Presentations A to Z is the handbook for the presenter on-the-go. It shares the secrets to help separate you from the sea of mediocre presenters. ORDER DIRECT FROM AMAZON AND DOWNLOAD IT NOW! _The constraints of time and distance no longer apply in today's Information Age. Technology and globalization have created an environment in which teams communicate and collaborate virtually, across boundaries of time, geography, and organization. Consequently, we are free to assemble the best talent we can find from wherever we can find it. But once these teams are in place, we must find ways to help the team members work comfortably together to complete the project at hand. 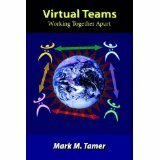 Leading them calls for a whole new set of skills and strategies, and Virtual Teams: Working Together Apart provides guidelines for this type of creative management.